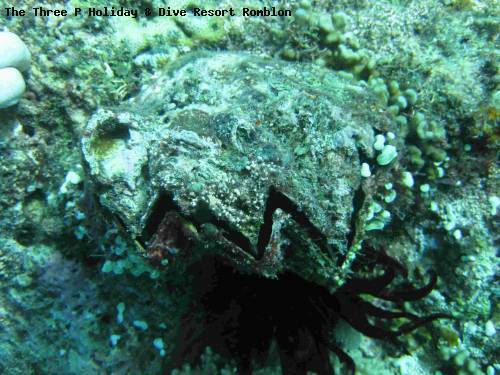 Best dive-season / How to get there: This spot can be reached in 40 to 50 minutes from Romblon Town or Lonos, Romblon. This spot can be visit 12 months a year. Telsie's Garden is a muck site right in front of the village Agpanabat. This dive site includes a rich sandy slope with scattered coral and some rubble areas. This is an excellent muck site with many different species of cephalopods, nudibranchs and different fish species.